Free 1-Year Membership to Newegg Premier for Students! 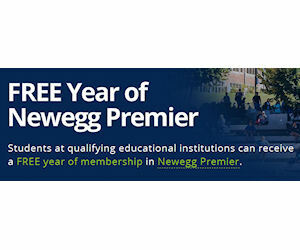 Students at qualifying educational institutions can receive a FREE year of membership of Newegg Premier - a $29.99 value! Check to see if your school is eligible on the linked page to get started.